This is from yesterday's papers. 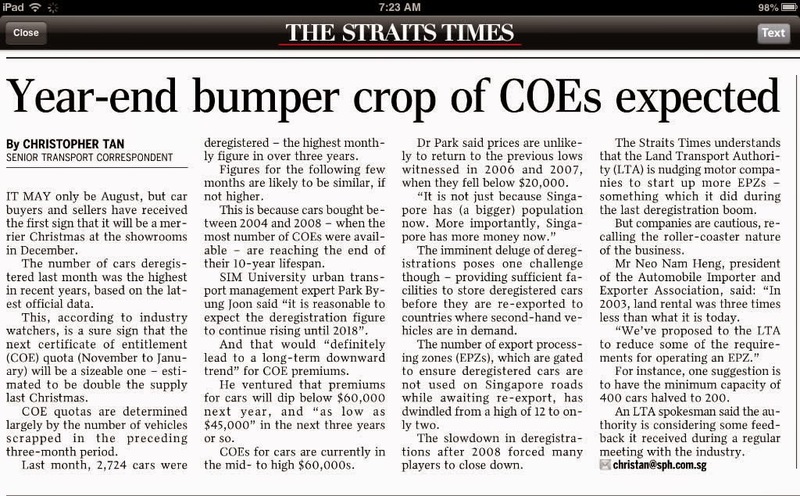 We have been lucky many times over with getting COEs at good prices. The next time we mustn't make it as unpredictable as counting on lady luck. I think I have a couple of earlier posts which had recorded the wisdom of Chris Tan on this topic which I must definitely refer to before buying the next car.